This morning, a new title from popular publisher Noodlecake has hit Google Play, called Beatdown! 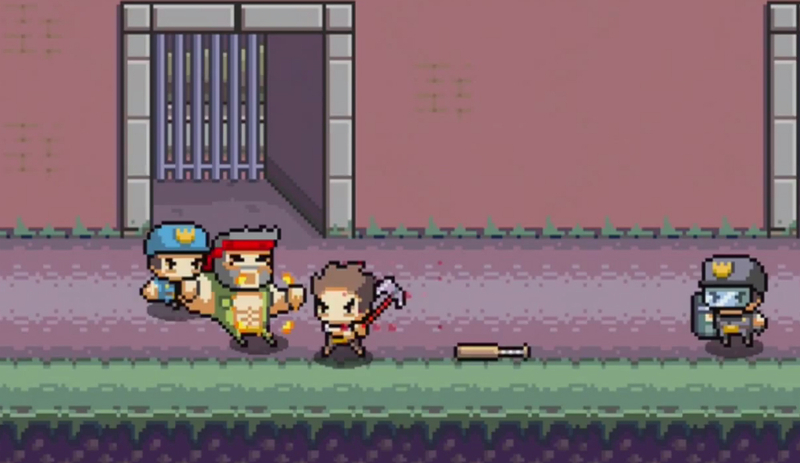 In this beat ’em up styled title, you go through 20 levels of baddies, fighting your way to 5 epic boss battles. Over the course of your adventure, you shall play through 5 different environments, featuring 30 different enemies. Your character is capable of performing combos and “Rage Attacks,” which should lead to a few fun-filled battles. If you have played a Noodlecake game before, the styling of Beatdown! should look rather familiar, as many of their games feature a somewhat dry, yet entertaining look to them. Most characters are quite pixelated, which adds a bit of arcade feel to them. The games costs $0.99, but be aware, there are also IAPs. Check it out on Google Play.